Available with the same flavours as other products in the Source range is this Stick Mix. 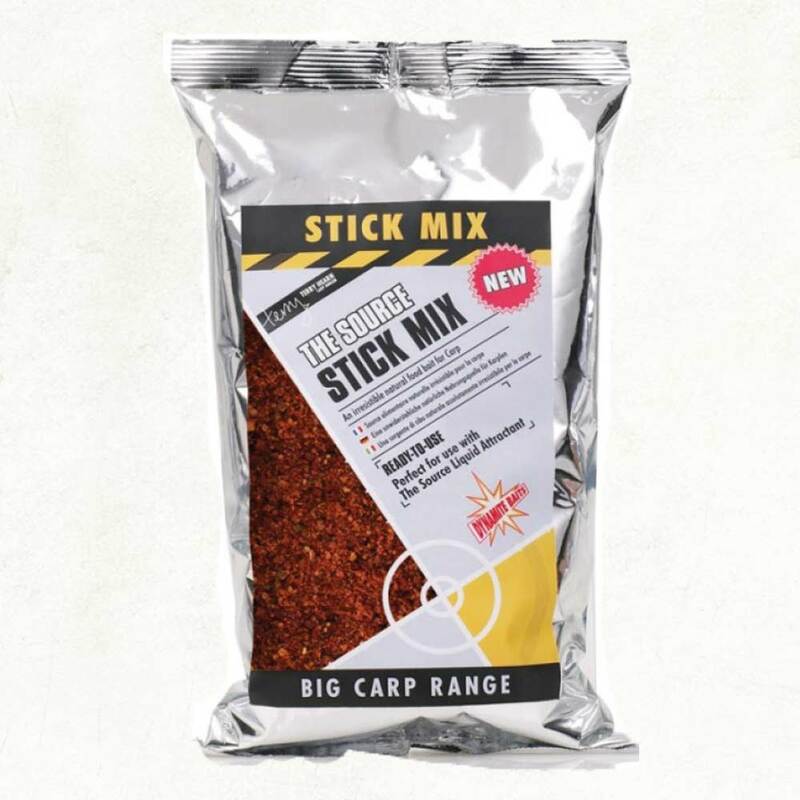 Ready to use straight from the bag, it is ready mixed but if you need to dampen it slightly simply add some of The Source Liquid Attractant, hookbait dip or other oil based liquid of your choice for the crumb to remain PVA friendly. It is packed full of attractants and additives that have been added to maximise flavour and particle release – it’s the perfect way to enhance the attraction around your hook–bait but can also be used in any spod or ground-bait mixes.